It’s about time I mentioned my first attempt at driving a bus. This occurred 25 years ago, in April 1985. I was at that time working for the Express & Echo, the evening newspaper for the Exeter area. Their offices and printing plant were then in Sidwell Street and my office was at the back of the building. As I was shown to my new graphic design studio I was rather pleased to see that it provided an excellent view of the bus station. However, I was careful to conceal my pleasure at this discovery because I was being paid to design advertisements, not watch buses! Not long after I started work there Harry Blundred, who was Managing Director of Devon General then, began to introduce his revolutionary fleet of minibuses. These were to replace the remaining Bristol VRs, Leyland Atlanteans, Olympians and other assorted remnants from the erstwhile Exeter Corporation, Devon General and Western National fleets he had inherited. However, I was much more interested in his driver training vehicle. 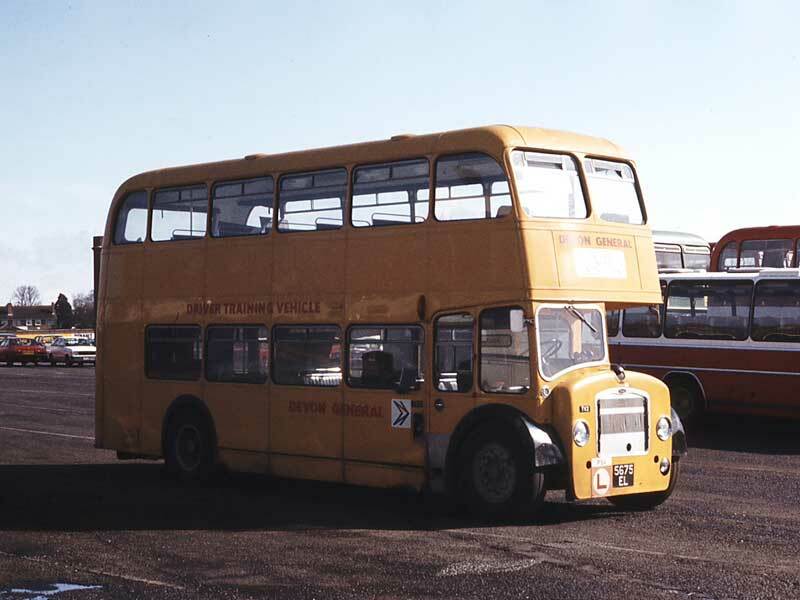 This was a yellow ex-Hants & Dorset Bristol FS6G 5675EL, fleet number TV2. After seeing most other rear entrance half cab buses ousted by front entrance, rear engined vehicles, I was pleased to see (and hear) this survivor plodding up the hill into the bus station. The fact that it was an ex-H&D bus made it significant because it was possible that I’d seen it in service in former years in either Salisbury or Southampton. I fancied having a go in the old Lodekka before it too was consigned to the scrap heap. 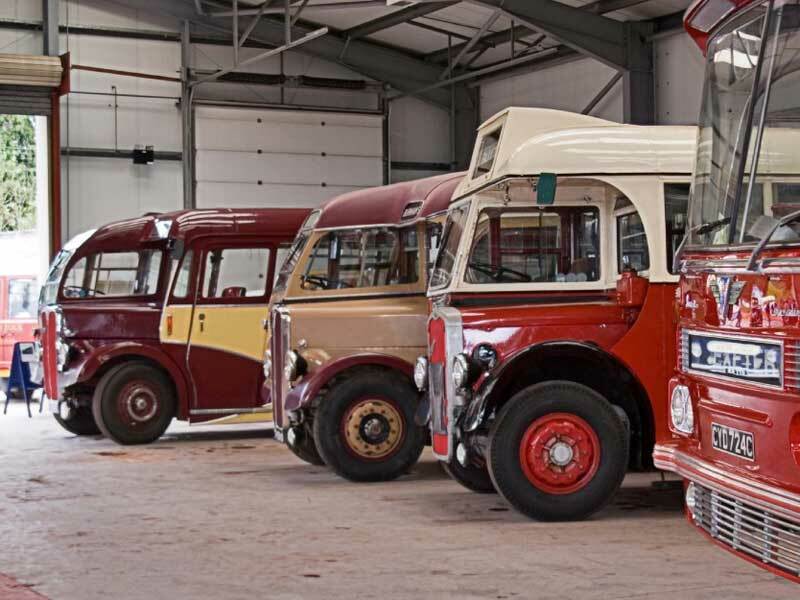 The dates for this year’s Depot Open Days and Bus Running Days have been announced by Quantock Motor Services. They are to take place over the Whitsun weekend, May 28 & 29. I’m likely to be conducting on the Saturday. Even though I hope to have my PCV Driver’s Licence by then, I suspect there will be a greater need for conductors than for drivers! As last year, the depot at Bishops Lydeard will be cleared and a number of heritage vehicles will be on static display, along with some trade and society stands. Free rides will also depart from the depot, where a useful entry/exit lane can be set up right through the building. More details can be found on the QMS Bus Rallies page. I will probably be involved in the design of the programmes and will update the Quantock website as new information is released. A new feature that may be trialled this year is a Twitter feed, where the Depot Regulator can give instant updates on late changes to the programme or substitute vehicles. This could be useful in the days leading up to the event and, for those with SmartPhones, during the weekend itself. Confirmation of this feature and how to ‘follow’ the QMS Twitter feed will appear on the QMS website. I’ll also post them here too, if I remember! Impending cuts to Council-funded services are in the news at the moment and Somerset County Council (SCC) is not exempt. Fears about the future of many rural bus routes in Somerset may be about to be confirmed. The Service 400 ‘Exmoor Explorer’ route, which has given me most of my conducting turns in the last 6 years, is one of the services likely to be cut. 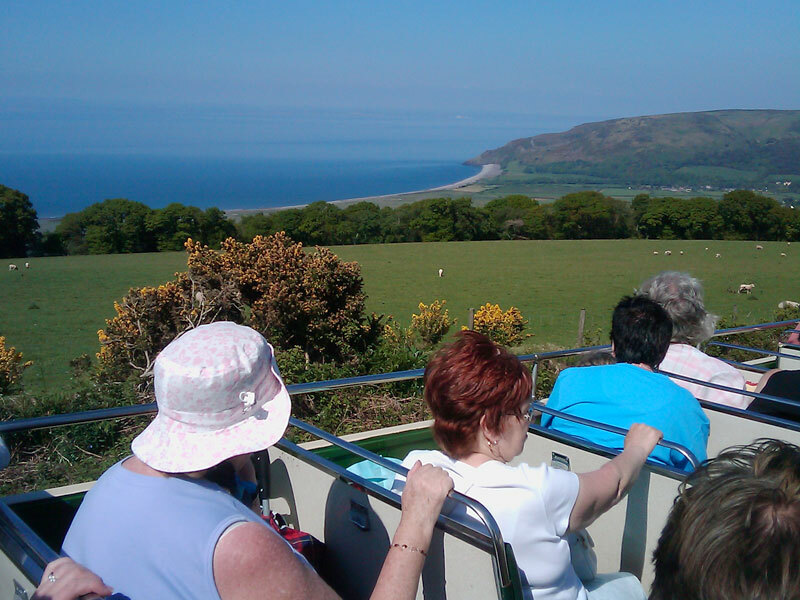 For those that don’t know, the 400 is a circular tourist route which starts on Minehead seafront and takes passengers on a vintage Bristol Lodekka open top bus through the picturesque West Somerset countryside. We pass through Dunster, Timberscombe, Wheddon Cross, Exford and Porlock before returning to Minehead. We cross part of Exmoor, after a lot of hill-climbing (slowly!) and then descend the formidable Porlock Hill (also slowly!) which is reputed to be one of the steepest A-roads in Britain. It has been reported that up to 50% of rural routes will be affected (i.e. cut) but confirmation will come later in February after the Council announces the list of routes that they can no longer fund. The 400 is wholly funded by SCC and Quantock Motor Services has been operating the route on their behalf for nearly a decade. The only glimmer of hope is that QMS might run a limited version of the 400 in July and August on a purely commercial basis. This would probably mean that the adult round-trip fare would rise from last year’s £7.00 and almost certainly that no bus passes of any sort would be valid. If I hear or read any further news, I will post it here. With the demise of the 400 (and hopefully armed with a PCV Driver’s Licence) I will be available to conduct or drive for other operators of heritage vehicles but I may still appear at QMS events such as the Running Day in May and private hire jobs such as weddings and WSR shuttles. In other news, I’m pencilled in to take a PCV Bus Driver Course in Exeter. This will probably be in March.